It's getting to be that time of year. Yep! Happiness is a bright summer dress. 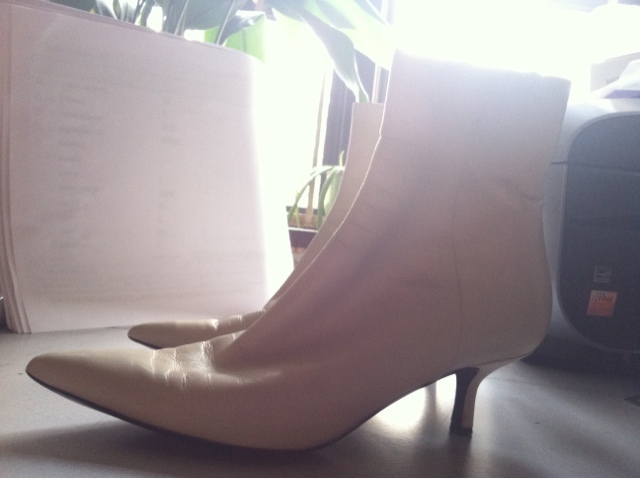 Or in this case, a pair of white leather booties. This new thriftique find seems to be perfect for the current sorta warm, sorta still bit o' nip chill we're experiencing. I hope to rock them tomorrow during the Tom Julian presentation at the NY High School of Fashion Industries. Maybe with red skinnies and a frenchie nautical tee and jacket.